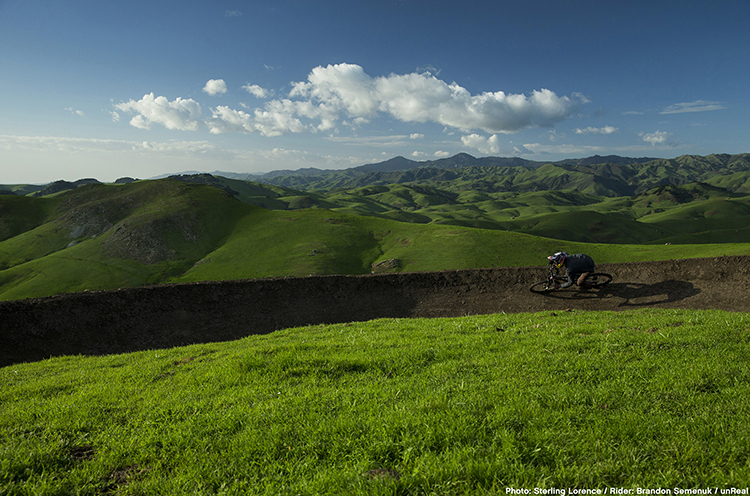 unReal is a feature-length mountain bike film, created by Teton Gravity Research and Anthill Films, filled with mesmerizing footage of bikers cruising down glaciers and other beautiful landscapes. 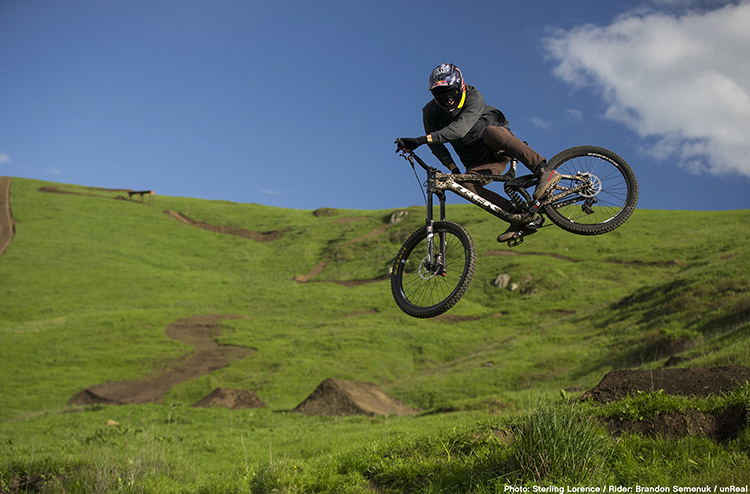 They released an amazing segment from the film, shot in a single take, that has professional mountain biker Brandon Semenuk bombing down the side of a grassy mountain. 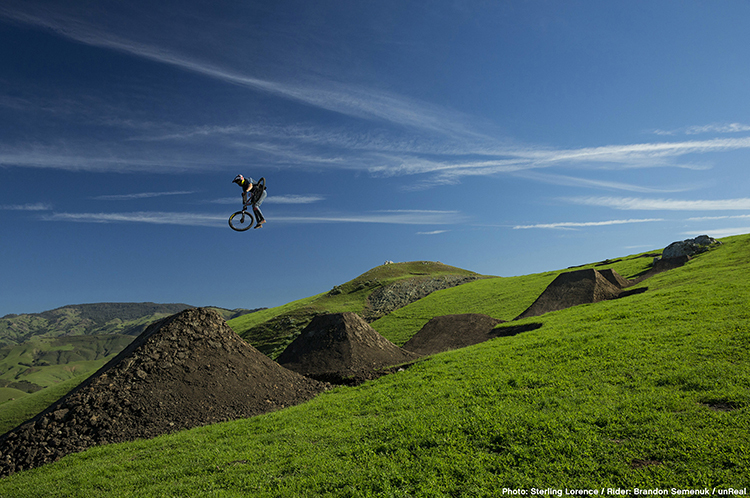 He glides down the a man-made trail while performing one impressive stunt after the next over cliffs and jumps. 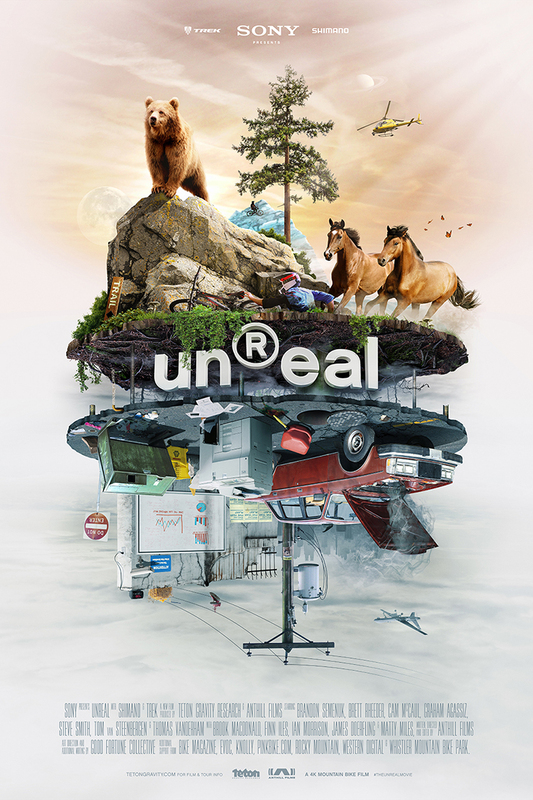 unReal is currently available to purchase as a DVD and Blu-Ray combo pack from Teton Gravity Research’s website or digitally from iTunes and Amazon. Widely recognized as the best slopestyle mountain biker in the world, Brandon Semenuk has become the first mountain biker to film a full segment in a single continuous shot. This uninterrupted shot was filmed by the most advanced gyro-stabilized camera system, the GSS C520, mounted to a truck on a custom road built next to a custom trail that took three weeks to build. This true cinematic achievement required perfect coordination between Semenuk, Anthill Films, and TGR with regard to athleticism, planning, timing and logistics. Injured at the time, Semenuk only hit the full line once.